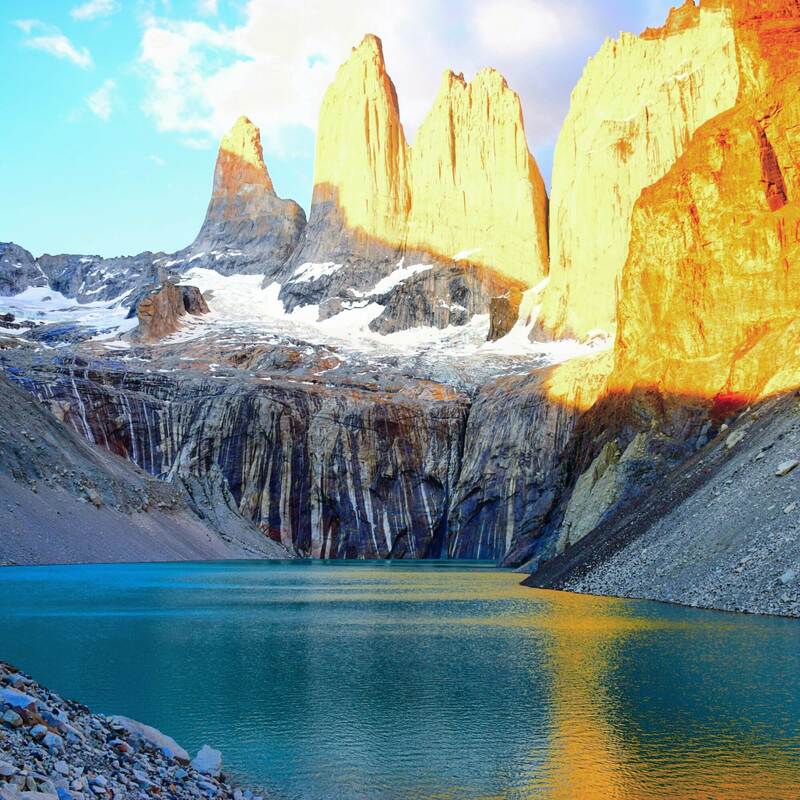 The Torres del Paine W Trek is one of the most famous hikes in the world – and for good reason! It is absolutely breathtaking from beginning to end. However, you must prepare properly for this hike in order to ensure you have the best experience. BOOKING CAMPSITES IN ADVANCE IS NOW REQUIRED (as of July 2017), keep reading to find out how to do this and avoid the disappointment of being turned away when you arrive to Puerto Natales. The Torres del Paine is located in the most southern region of Chile Magallanes. The park was founded in 1959 and covers approximately 242,242 hectares. Tt’s one of the largest and most visited parks in Chile, attracting hiking enthusiasts from all over the world! 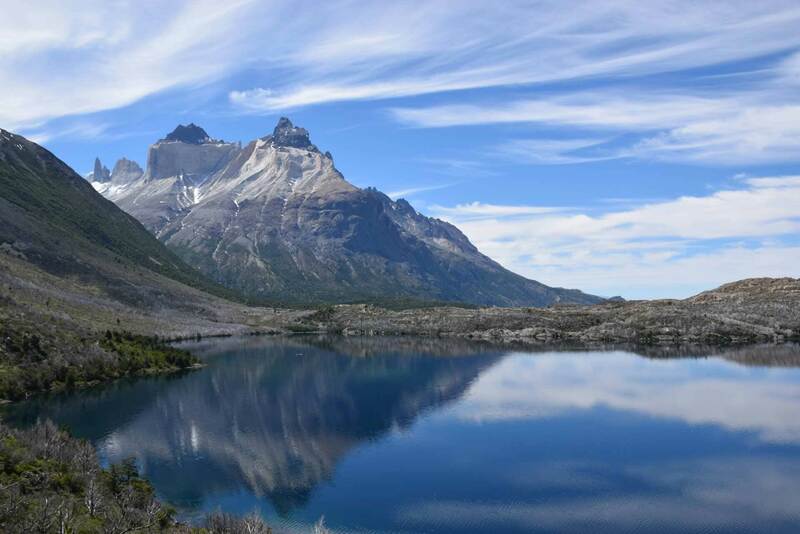 Small parts of the park can be done with day hikes, but to even scrape the surface you will need at least a few days of trekking and camping to complete the famous Torres del Paine “W” trek (and if you have the time the entire “O” trail can be done in 9 days). So let’s assume you already are aware of what the Torres del Paine w trek has to offer (you can refer to another post on our blog about our experience), now it’s time to talk planning. As of September 2016, it’s required to have a booking for every night you plan to stay in the park. Unfortunately, the information online can be confusing and requires you to read many blogs and sites to understand and plan your trip. In this post, I want to explain every detail of the planning process including the newly required bookings. If you do not book well in advance you will run the risk of not being able to camp in the park, we have met many travelers that this was the case for them. The first thing you will need to do is decide how much time you have – our trek was 4 nights 5 days and we completed the Torres del Paine W trek. I believe this should be the minimum amount of time to spend in the park. 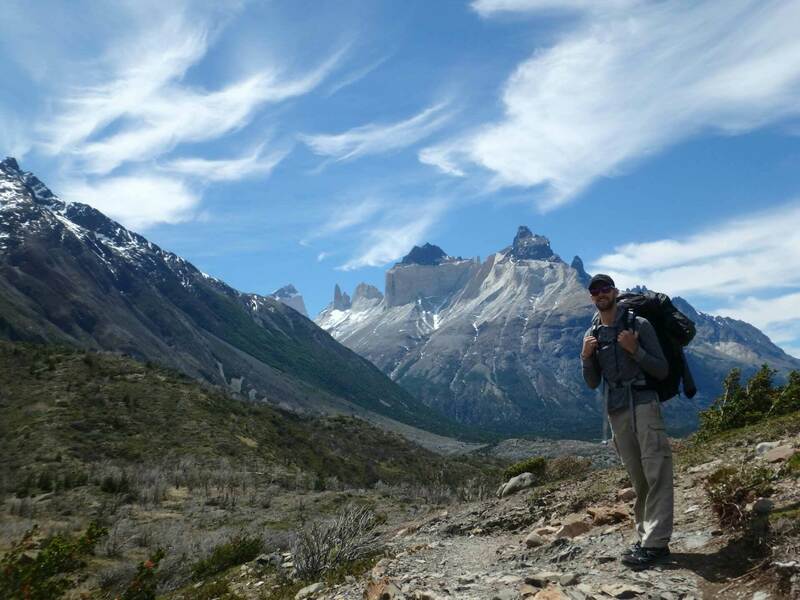 The Torres del Paine W trek covers the most popular areas of the park and is about 80km in total distance. It takes you to the Grey Glacier, the French Valley, and the famous Las Torres. The “W” trek can be completed East to West or opposite. We did the trek West to East and found this way to be the most popular route mainly due to the fact you can spend your last morning at the Las Torres for the sunrise (which is amazing). We were on a budget so we camped at the cheapest campsites available while keeping the lengths of the treks each day reasonable. Keep reading for our recommended Torres del Paine W trek route. CONAF (http://www.parquetorresdelpaine.cl/en/)is the company in charge of looking after the park and they offer the free campsites, unfortunately some of the free campsites are closed but you can still do the W circuit with only 2 paid campsites. The cheaper campsites and the free ones always book fast so it is essential if you are on a budget to book in advance! We went the route which is the cheapest by far and has the most even distances to walk each day. It also is best for viewing the sunrise at the Torres on your last day! on our way to camp Italiano! If you are taking the catamaran the bus will drop you off right at the jetty at 10:15 and the boat leaves at 11:00. Tickets are purchased on the catamaran for 18.00clp. If you went to the “3 o’clock talk” in Puerto Natales they would have told you to get on the catamaran last so you are first off , I would not recommend this as some days the catamaran can fill up and you will have to wait another hour for it to return to take you! Depending on the weather the catamaran is about a 30min ride to Paine Grande, so you have plenty of time to hike to your next destination. Facilities at the campground include flush toilets, hot showers, indoor cooking shed with running water, and a small shop with really expensive snacks and drinks (a beer is 3,00clp). Although you may have been told in Puerto Natales not to drink the water from the tap we did and so did everyone else we talked to – even the staff said its fine, you could boil it to be safe but this will use a lot of gas. While you are staying at the campsite it is well worth hiking up the path towards camp Passo (about an hour) to view the glacier up close, the view from the look out is amazing. We did this in the morning the following day, but if you are hiking to Italiano that day I would recommend making the trip the afternoon you arrive at Grey as the hike to Italiano is already about 19km and this made for a massive day of hiking. The weather at Grey was significantly colder than the other campsites due to the Glacier being so close. If it’s windy I recommend staying at the back of the campground this is where you will get the best protection from the wind because of all the trees. Our second day involved a 19km hike to Campamento Italiano, this is a free campsite run by CONAF and can be booked at http://www.parquetorresdelpaine.cl/en/ (once again, please note the free campsites will book up first so reserve it well in advance!) Also, the free campsites can only be booked for 1 night and you will need a print out of your booking to show the rangers when you arrive as they do not have a reservation list and rely on your booking confirmation. This day was quite a big hike for us and we found it challenging. If you are not confident in your hiking ability you could spend your second night at the Paine Grande campsite (only 11km from Grey). 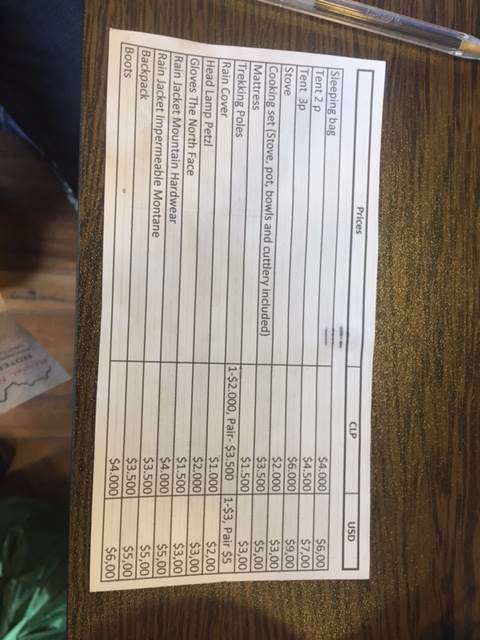 This is a paid campsite and will cost between 5,00clp to 10,00clp per person per night. Campamento Italiano is more basic than the paid sites. It has pit toilets which really smell bad so make sure you camp well away from them as half the campsites are too close and the smell is noticeable. The cooking area is covered, water is gathered from the stream running alongside the campground, and there are no showers. The day you arrive you can setup camp and enjoy your afternoon off as the next day you will need to pack up your tent and bags and leave them with the rangers so you can hike to the French valley lookout with just your day pack. The hike to the top is 6.5km and takes about 3 hours as it is uphill, but was not that challenging especially not carrying so much stuff. After spending some time enjoying the amazing view you will head back to Campamento Italiano and grab your bag to head to your next campsite. There is only 2 options to camp near Italiano, Campamento Frances which is 2 km from Italiano (where we stayed) and Cuernos which is 5km from Italiano. This campsite is owned but Fantastico sur and can be booked on their website at http://www.fantasticosur.com/en/ and cost 7,500 clp per person per night. This campsite was by far the best we stayed at on our trek. It has nice warm showers, clean toilets, and your own personal elevated camping platform which made the stay quite pleasant. This campsite will book up much quicker than Cuernos because the only option at Cuernos is to buy the full board of food which is really expensive – so book in advance! We arrived in the early afternoon as its only about 30 mins from Italiano. The French Valley does not take very long to complete (about 5 hours). Take this time to relax as the following day is the hardest day of all. The hike to Campamento Las Torres is about 20km from Frances and takes between 8 to 9 hours, much of this day is uphill with no protection from the wind or sun. There is a point about halfway where water can be hard to come by so keep your bottle full and stay hydrated. With that said, the start of this hike is beautiful so take in the views from the lakes and enjoy. Staying at this campsite is a must if you want to watch the beautiful sunrise over Las Torres, this is also a free campsite so book it in early at http://www.parquetorresdelpaine.cl/en/ This campsite has flush toilets, water in the way of a stream, and an outdoor cooking shed. We arrived at about 5pm and setup camp. We had an early night so we could get up at 4:00am to hike to the top of Las Torres to see the sunrise. It is only 1km but it is straight up and takes a hard 45min walk to get to the top so allow enough time in the morning for the hike. After you have watched the sunrise, head back to camp for breakfast and pack up. Next you will head off to the Las Torres Hotel which is down at the bottom of Las Torres. The hotel is where you go to get your shuttle to the bus. Once you have arrived and caught your bus it will take you back to the bus terminal in Puerto Natales. If you are coming on a holiday specifically for hiking or to complete this trek then I would suggest you bring as much of your own camping/hiking gear as possible. Camping gear for hire in Puerto Natales isn’t necessarily cheap, but it is easily available and good quality. 1) A tent – make sure you have plenty of pegs and are shown how to set it up and take it down as the types of tents can vary. Also, you will want to check the tent for holes and make sure all the poles and pegs are included. 2) Sleeping bag – check the temperature recommendations for the one you are hiring and compare with the weather forecast. Also check the zippers all work. 3) Cooking set – this should include a gas cooker, pot, utensils, bowls, and cups. You will need to BUY fuel for the cooker. 4) Hiking boots – if you don’t already have good hiking shoes then you can hire them along with practically any other clothing or even a backpack. When you rent gear make sure you check the quality of everything and examine what might be missing or broken. One of our sleeping bags had a broken zipper that we didn’t notice when we hired it, when we went to return it the rental place accused us of breaking it. We explained to them it was already like that and all was fine in the end. By the end of our trip we had eaten nearly everything and did not go hungry at all. Make sure you transfer as much as you can into plastic containers (not glass) to keep the weight down. One set of day clothing and one set of sleeping clothing. You will need a couple layers for the day clothing to accommodate the varying weather of Patagonia. I would recommend a short sleeve shirt, a long sleeve shirt that can go over top, a warm sweater, and a wind and water proof outerlayer. One pair of hiking pants should do (some people get water proof pants too which would be good if the forecast is predicting rain). For the night pack warm clothes as it gets cold in the night and when you aren’t moving around so much you will cool right down. Pack extra socks as you won’t want to be that stinky person on the bus back. 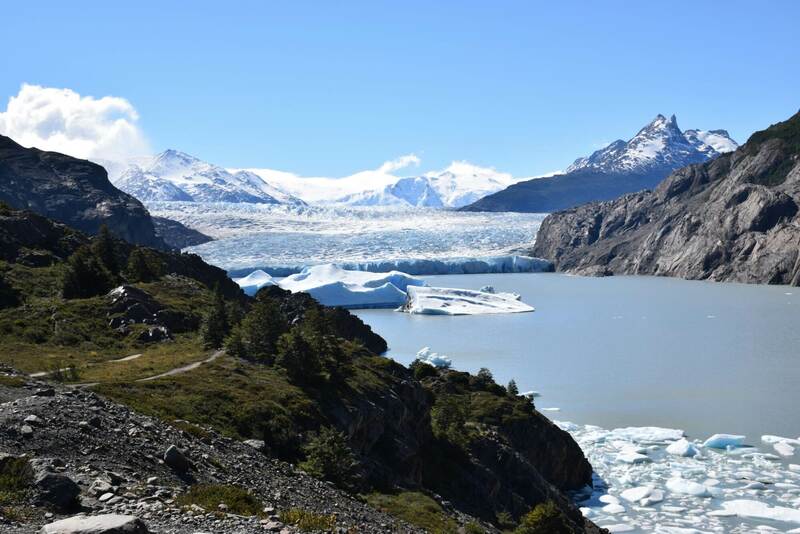 The information provided is based on our trek and is recommended as the best way to see the Torres del Paine W trek without breaking the bank overall. With camp fees, food, rental gear and park fees our trek cost $600AUD for 2 people and was an amazing experience. 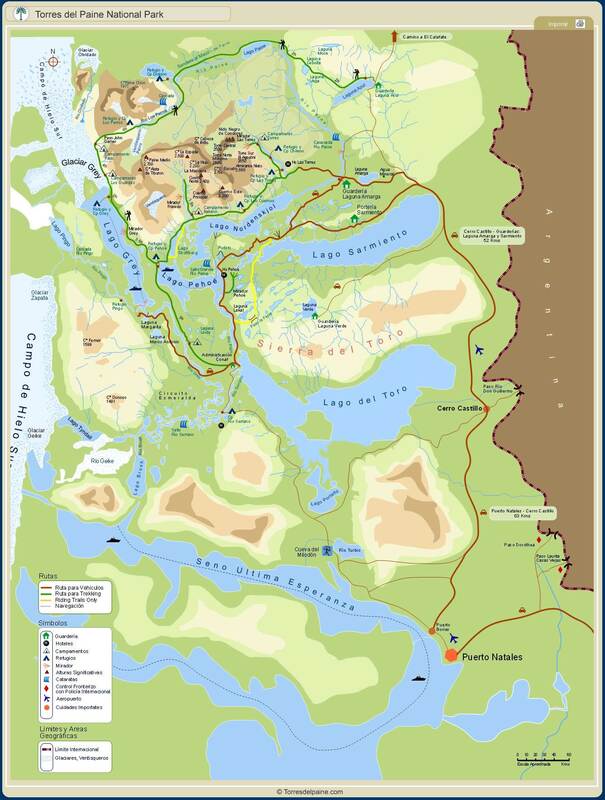 We had a hard time finding current information online for planning our trek so we hope you find this information useful! Any additional comments, questions, or even advice (if you have done the trek recently) are welcomed below. Enjoy your trek and take lots of pictures! Want to know more about our experience hiking the Torres del Paine W Trek? Click HERE!